In 2008, Baton Twirling Sport Association of Ireland held the 29th WBTF World Baton Twirling Championships, and 4th International Cup in Limerick. This was the largest WBTF event to the date and was the last time these 2 competitions were held together in the same year. The videos from this event over 10 years ago are still seen in promotional and study material for baton twirling all over the world. 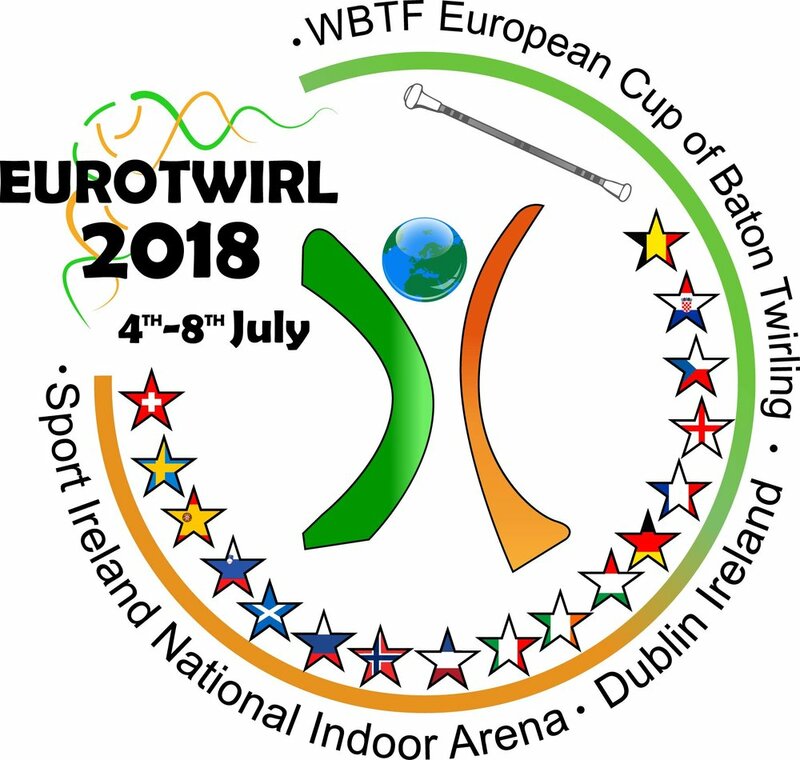 In 2018, Ireland held the WBTF European Cup of Baton Twirling, this time in Dublin at the National Indoor Arena, owned and operated by Sport Ireland, the National Sports Council for Ireland, and deemed the home of all sport in the country. The organising committee had only 10 months to prepare and host this event and did so with huge success. 571 athletes from 16 countries competed in 545 sets over 5 very full days. Issues of course arose, and these were always rectified immediately and with candour and professionalism. The same world class arena, and fantastic organising committee will be used following a successful bid. The process of how to run the event are fresh in the minds of the committee, and we have learned a lot through reflecting on holding the event so recently. Back our bid for bringing the 2020 WBTF World Baton Twirling Championships to the home of all sport in Ireland. At the WBTF Winter Meeting in January 2019, the host country will be voted for 2020, and Ireland will be one of 3 countries placing a bid. The Irish organising committee have provided this page to promote our bid and offer all the information which was required by WBTF which includes a transparent budget and proposed schedule. Click the links below the video or continue to scroll down for more information. The proposed venue for the 2020 World Baton Twirling Championships is the Indoor Arena at The Sport Ireland National Sports Campus, which is providing state-of-the-art sports facilities to elite athletes in Ireland. Sport Ireland is the Government appointed organisation responsible for directing the development of sport within Ireland. Baton Twirling has been an officially recognised sport of Sport Ireland for 30 years. The Sport Ireland campus has been developed over the past decade to provide a permanent home to elite Irish athletes across a range of sports including gymnastic, swimming, athletics and soccer. 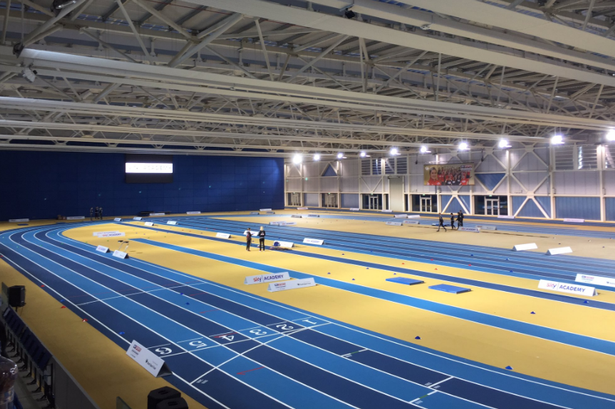 Opened in 2017, the Sport Ireland National Indoor Arena is the new flagship facility at the National Sports Campus. This fully accessible, multi-sport and multi-purpose arena is the newest of its kind in Europe. Built to the highest world class standards and specifications, it will ensure that Ireland has the best facility for indoor sport and events, which can be used by Irish sporting bodies, high performance athletes and the general public. This new venue is very adaptable and can cater for any request and puts Dublin and Ireland at the leading edge of international indoor standards. The National Sports Campus is located just 15km from Dublin Airport and Ferry Port and 13km from the heart of Dublin’s City Centre. The arena, with heights exceeding the WBTF minimum requirements for World Championships, sports tailored air-conditioning, integrated scoreboard and strategically positioned lighting and sound systems, is perfect for Baton Twirling, as proven at the WBTF European Cup of Baton Twirling in 2018. Flexible, fully accessible seating can accommodate more than 3,000 spectators over different tiers. Multi-function conference rooms for tabulation, judging meetings and hospitality are located only a few metres from the officials / judges seating area. There are hundreds of parking spaces for cars, coaches and campers all right by the athletes and general entrances, with overflow capacity only a few minutes walk away. Local and National buses are accessible from the main entrance of the campus with routes to the hotels, shopping facilities and the city centre. The warm up facility is located adjacent to the main arena as are 14 changing rooms. It contains a wooden floor, screens & a PA system linked to the main arena, and provides direct access to the competition floor. International hot and cold food options will be available such as fresh sushi, pasta, rice dishes, soups, sandwiches and snacks. Vegetarian, vegan and healthy options are all available too. The judges seating will only be accessible by the judges and organising committee via separate stairs, and come with dedicated toilet facilities only a few meters away from the judging area, judges room and VIP room. 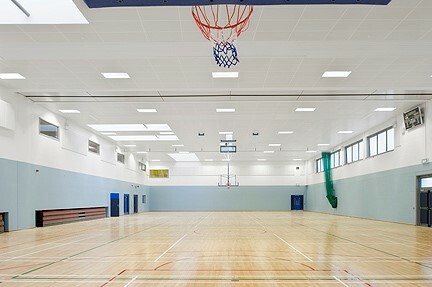 Athletes take the floor directly from the practice gym area, with very easy access to the changing facilities. 11 of the changing rooms are very large and have their own WC and showers, the average size holding 70 people. There are also separate smaller male and female only overflow changing rooms also with WC/Shower. We have multiple options for hiring of practice gym time, all within less than 30 minutes from the arena and hotels. Prices start at just €60 per hour for a full basketball sized court. The lowest practice facility is over 5m high. The warm up and main arena are also available for hire at competitive prices. Ireland will be providing multiple accommodation options to suit all requirements and budgets from 2-4 stars, on a fair stay-to-play basis. Fully detailed options will be provided after a successful bid campaign. We expect late deposits and payment close to or during stay to be accepted. Judges will stay at a dedicated hotel near to the arena, which which will be provided at low rates so as not to increase the costs of the attending countries. 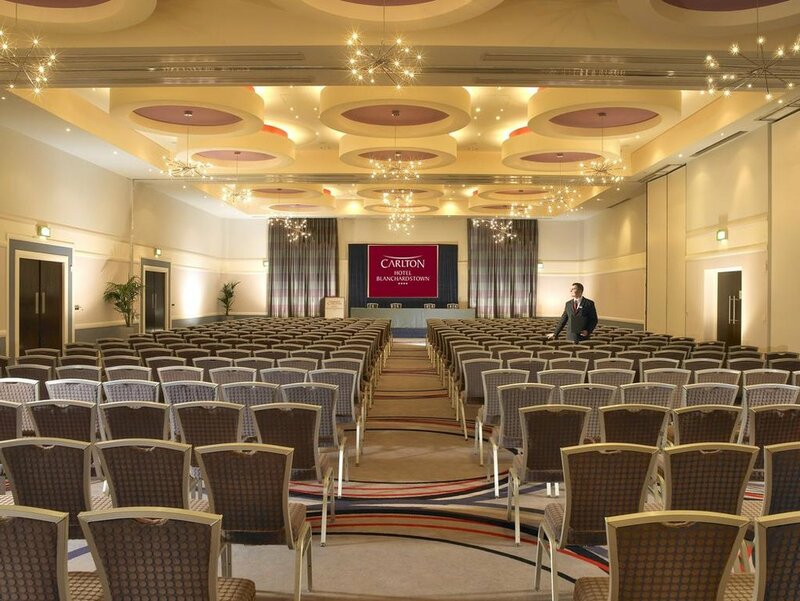 The Carlton Hotel in Blanchardstown has been selected as the headquarters hotel, and will host the meetings and the athletes party and VIP reception. This hotel also has special National Governing Body rates, which are only available to sports organisations hosting international events at the Sports Campus. It is anticipated that this will still be available in August 2020. The award winning 4 star Carlton Hotel Blanchardstown is one of the finest hotels in Dublin, only 5 minutes from the arena, and offers complimentary car and coach parking, WiFi and fitness facilities, 24 hour free shuttle to and from Dublin airport, and options for free transport to the city centre, shopping malls, and at times, the arena itself. All rooms are en-suite with baths. It is conveniently located close to the M50, N2 and N3 motorways, and only 15 minutes from Dublin Airport. 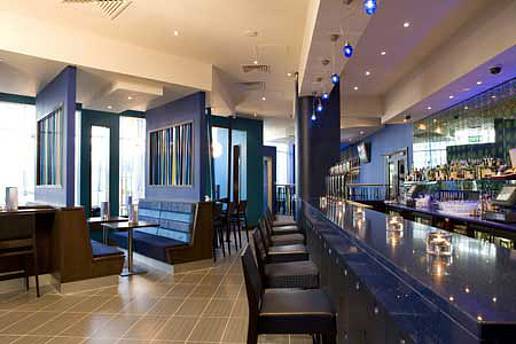 BTSAI has a special arrangement with Travelodge Ireland, with 2 hotels only a few minutes away from the arena. These hotels offer budget accommodation at very reasonable and discounted rates. Costs for August 2020 can be given on a purely estimated basis at this stage and are based on some sample accommodations used for European Cup 2018. Rates are being offered in line with other host countries costs. It is anticipated that final costs will be available in September 2019. 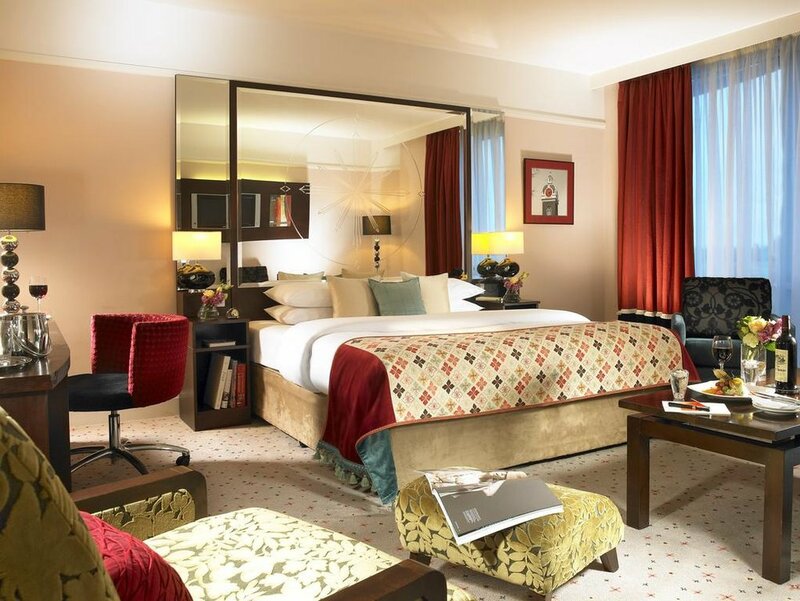 Headquarters (4 star) – special offer rates in luxurious hotel. BTSAI are dedicated to making this the most affordable championships yet for spectators and athletes’ friends and families. With many tier options and online and onsite purchasing, there is something suited to all budgets and requirements. The city of Dublin is ideally situated on the edge of Europe providing an accessible location from both East and West. 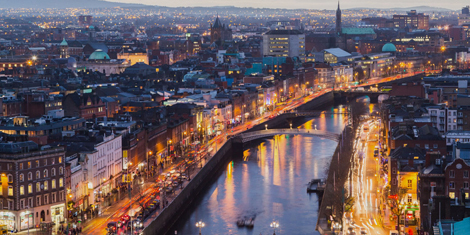 At just a few minutes on road from the arena, Dublin airport is one of the largest in Europe with a wide variety of flight options from across the globe. Dublin airport also offers the unique TSA US Preclearance (USCBP) facility at Terminal 2 which is a purpose built facility that allows US bound passengers to undertake all US immigration, customs and agriculture inspections at Dublin Airport prior to departure. Dublin Airport is one of only a handful of airports outside North America that offers a US Preclearance facility. The benefit is that having cleared USCBP, passengers arriving in the US are treated as domestic arrivals, allowing them to avoid immigration queues upon arrival and pick up their bags and go. Direct ferry services are also available from continental Europe to Dublin and other parts of Ireland. As Ireland is a member of the European Union, and of the Eurozone, visitors to the country can enjoy visa free passage, the benefit of cheaper mobility to other EU countries - from airfares to mobile phone-roaming as well as the convenience of a shared currency – the Euro. 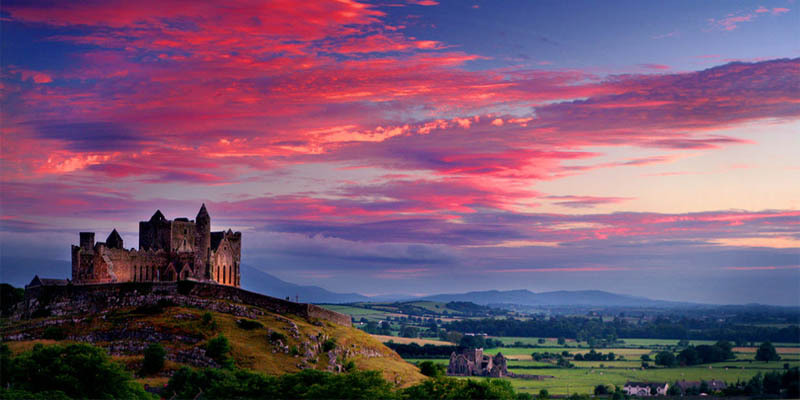 Ireland is the perfect location from which to explore other parts of Europe. Below is a snapshot of the expected flight times and fares from major cities of all the current WBTF member countries. 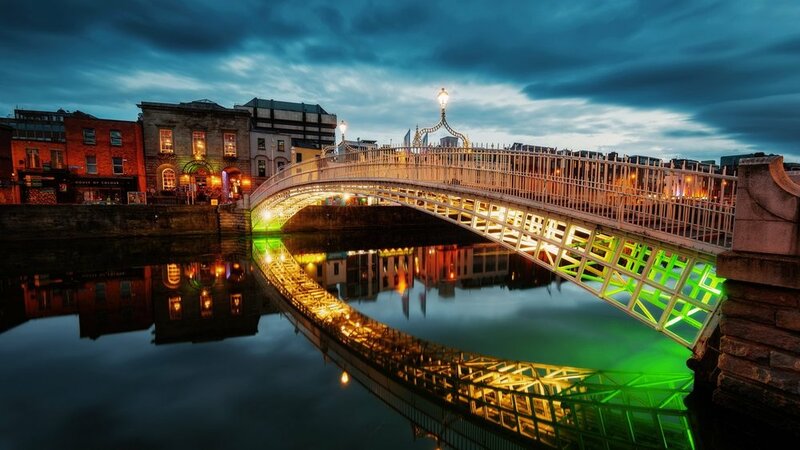 Dublin has often been hailed as the friendliest city in Europe, and 2nd friendliest in the world, and is renowned for providing a warm welcome to its many visitors. 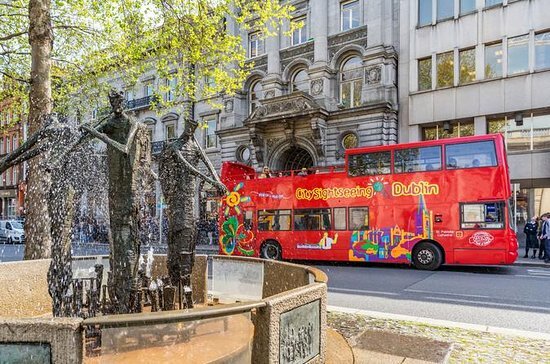 Dublin is a relatively small and accessible city, small enough and safe enough to get around on foot, while the Luas tram system and the suburban rail system, the DART, provide excellent transport links throughout the city. 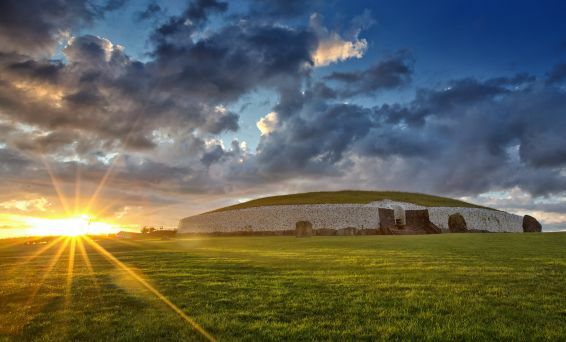 Dublin is a historical city which was founded by Vikings during the 9th Century and offers plenty for visitors to see, from historic sites and landmarks to famous monuments and thought-provoking museums. Dublin is also well known for its unique culture and there are many ways for visitors to explore literature, music and arts from traditional Irish folk tunes played loud and proud in pubs to hymns sung against the awe-inspiring backdrop of Christ Church Cathedral. Ireland has some of the world’s best raw ingredients, from delicious dairy to outstanding seafood and because we’re such a small country, food doesn’t have to travel far so it should always be fresh. We are also fortunate to have numerous talented chefs in Dublin and between independent cafes to Michelin-starred restaurant, there is plenty to choose from. Dublin has also become one of Europe’s top shopping locations with a huge variety of stores within easy access to visitors. Grafton Street for example is one of Dublin’s main shopping thoroughfares. This bustling pedestrian-only area provides a mix of independent boutiques, cafes and galleries and is flanked by the nearby Dublin Creative Quarter featuring local designers and artisans. So come back in 2020 and settle in for the experience of a lifetime. What about outside of Dublin? Settled in Irelands Ancient East you can explore stone age and Viking sites. Belfast is just over an hour from the competition arena. This modern city is an eclectic medley of cultural treasures, with its mix of Victorian grandeur, industrial grit and living history. And of course, the home of the Titanic – something not to be missed. 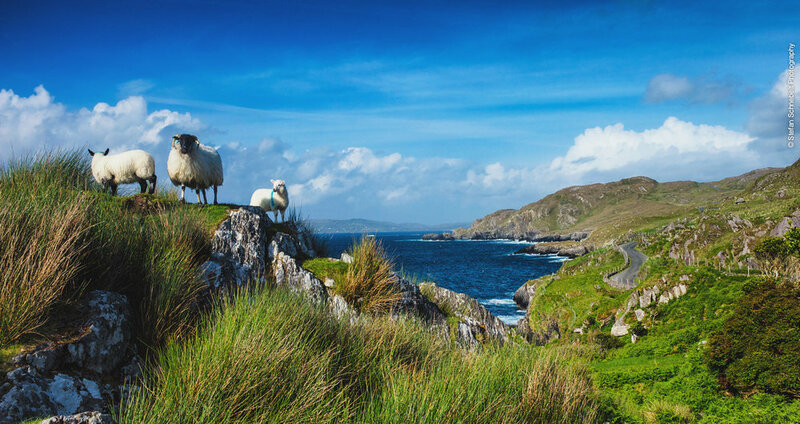 From the wind-whipped tip of Malin Head to the safe haven of Kinsale , wrap yourself in the wilderness of the west coast of Ireland on the world's longest defined coastal touring route. 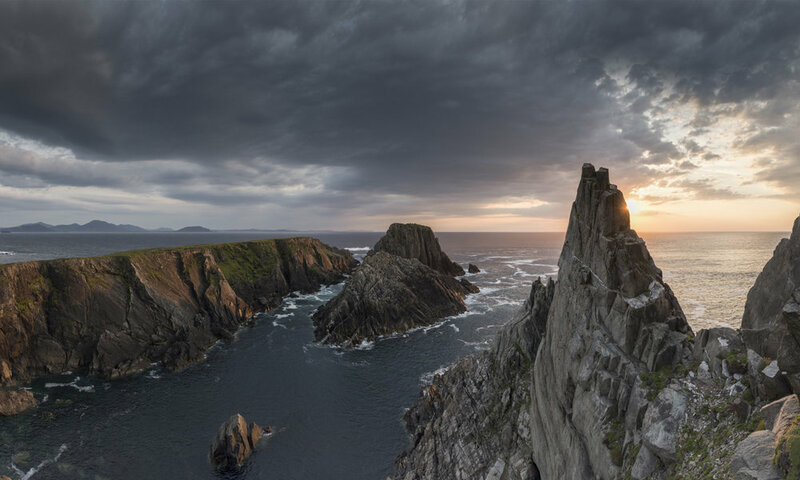 The Wild Atlantic Way is a sensational journey of soaring cliffs and buzzing towns and cities, of hidden beaches and epic bays. So whether you drive it from end-to-end, or dip into it as the mood strikes, it's going to be a once-in-a-lifetime experience. The WBTF requested that bidding nations provide their proposed budget for the championships. Ireland had no issue showing transparency in that this event is possible, within our means, and most importantly, is not being created to generate money for our association. BTSAI have worked closely with accountants and our treasurer to complete the budget below. BTSAI are very proud of their motivated team of experts who are ready to run this event again. WE HOPE TO SEE YOU IN DUBLIN 2020!